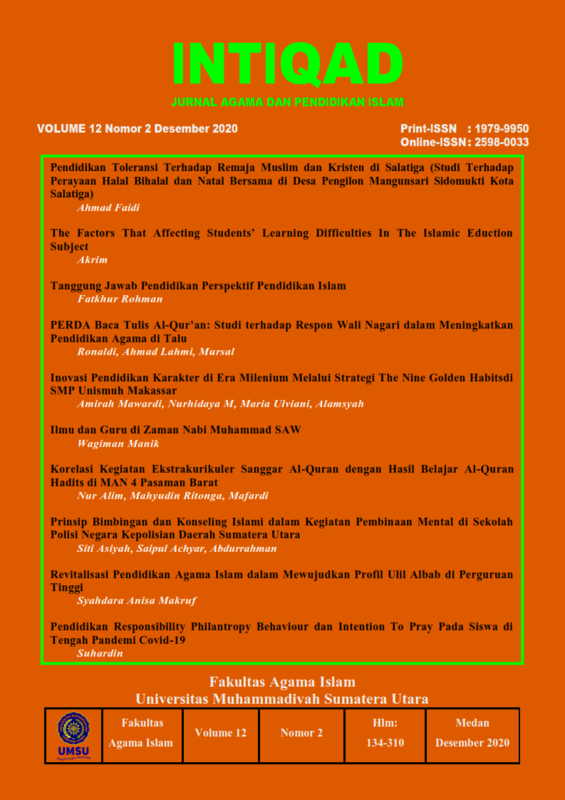 Intiqad: Jurnal Agama dan Pendidikan Islam, published by the Faculty of Islamic Religion, University of Muhammadiyah Sumatera Utara (UMSU), Medan, Indonesia, which includes articles on the scientific research field of Islamic studies and Islamic education, Islamic law, and Islamic economics. Intiqad: Jurnal Agama dan Pendidikan Islam accepts manuscripts in the field of research includes scientific fields relevant to: Islamic studies, Islamic education, Islamic law and Islamic economics. Intiqad: Jurnal Agama dan Pendidikan Islam published Twice a year in June and December.